KG 40 was the only long range maritime unit of the Luftwaffe. V Gruppe was the only long range fight..
Bloody Biscay is the story of the Luftwaffe’s only long range maritime fighter nit – V Gruppe/Kampfgeschwader 40 (V/KG 40) and its battles against the RAF, the US Army Air Force (USAAF) and the US Navy (USN) from July 1942 to August 1944 above the Bay of Biscay. Using personal accounts from both German and Allied survivors, Bloody Biscay relates the initial tribulations of the unit, the height of its success in spring and summer 1943, its battles against overwhelming odds and its eventual annihilation over the Normandy beaches in June 1944. 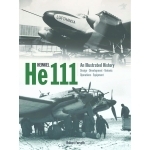 The book contains comprehensive appendices detailing the unit’s commanding officers, known aircrew, all of its known ‘kills’ matched to Allied losses and its combat losses. It also describes the attack in which the famous British actor Leslie Howard perished and so clarifies the facts surrounding one of the most enduring mysteries of the 2nd World War. 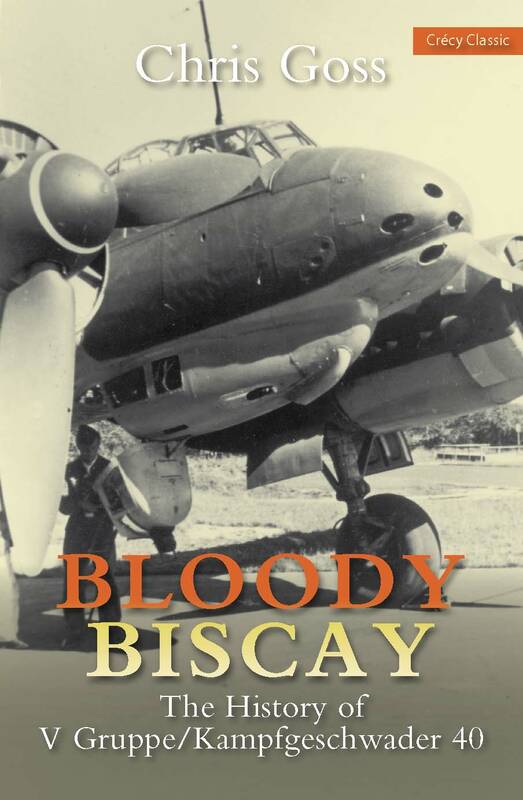 Illustrated with 200 photographs, the vast majority of German origin, Bloody Biscay gives a graphic insight into the activites of V/KG 40.